Today’s online marketplace and classifieds sites face threats from nefarious competitors, hackers, and fraudsters. The bad guys are increasingly leveraging malicious bots to programmatically steal content, and endanger the overall security of your website, customer base, and brand. Distil Networks protects your marketplace listings from web scraping — which can result in stolen or duplicated content, diminished SEO rankings, and loss of advertiser revenue. Distil also prevents fake registrations, spammy product listings, and comment spam from polluting your site and damaging your reputation. 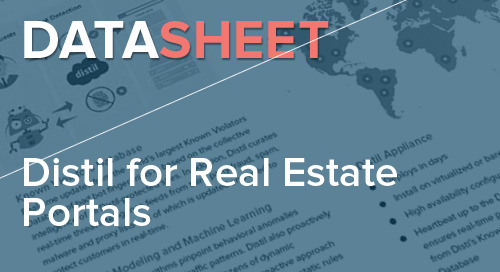 Securing your real estate listing data is harder than ever because web scraping is cheap and easy. 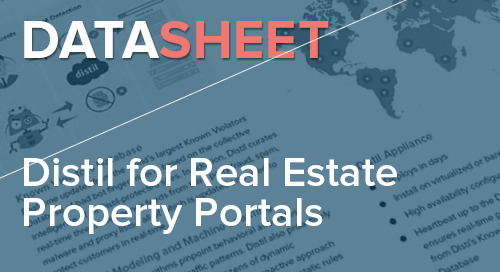 Distil Networks protects your real estate data from web scraping.